Is it worldwide release date or Japan only? Pre-order bonuses, collector's edition, and a new trailer. 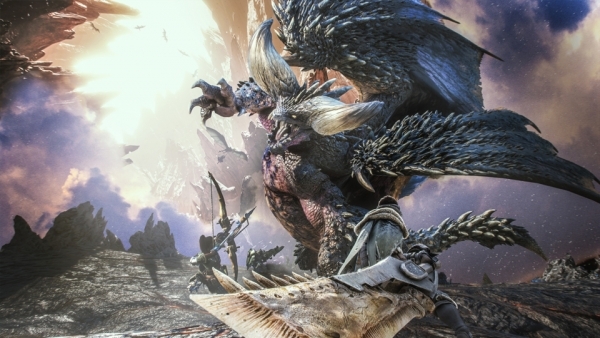 Monster Hunter: World will launch worldwide for PlayStation 4 and Xbox One on January 26, 2018, Capcom announced at the 2017 PlayStation Press Conference in Japan. In Japan, the game will only be available for PlayStation 4. A PC release will follow at a later date. Additional customizable options that can be used in-game: a Samurai Set skin, three gestures, two sticker sets, plus an extra face paint and hair style option for the hunter. PS4 Version-Only: 14 weapon-themed PSN avatars. The contents for the Digital Deluxe Edition will also be available for purchase separately on January 26. In Japan, a “Liolaeus Edition” PlayStation 4 Pro will be released on December 7 for 49,980 yen. It will include an original design PlayStation 4 Pro with a one terabyte hard drive, original design DualShock 4 controller, digital copy of Monster Hunter: World (which will not be available to play until January 26), PlayStation 4 original theme, two months of PlayStation Plus, and a special box.